This sweet, gentle story of the love between a father and daughter separated by circumstances is enhanced by details in the warm pastel illustrations. 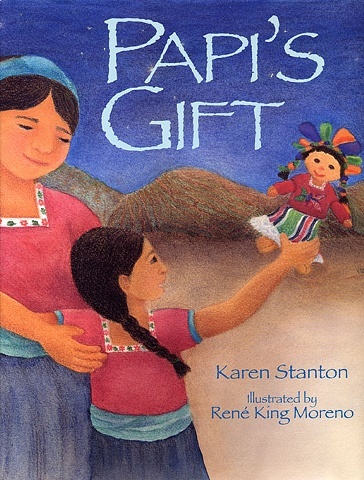 Told in an authentic child's voice, Papi's Gift is the touching story of Graciela's separation from her father, who is earning a living in the U.S. due to a drought at home. 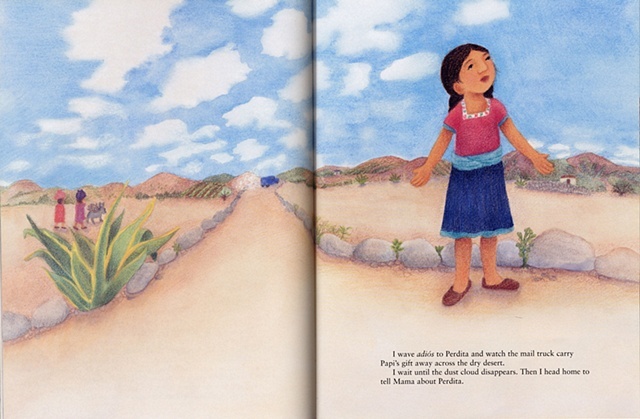 Moreno uses pastels to render soothing, warm illustrations that have a Latin American flavor and elements of folk art. 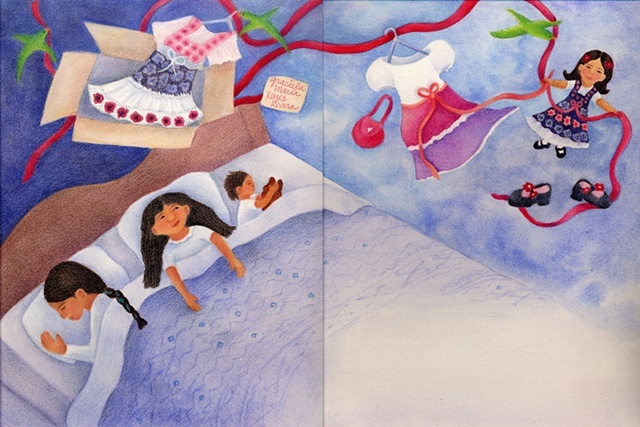 In almost all of the pictures, the central theme is family, and readers experience the close-knit group from varying perspectives.